Germany is a treasure of Europe. You can read a lot about its beauties and attractions. There is no end to its music, science, culture. You definitely need a guide to take you to the best German cities. Choose one, or two, or three for this weekend. It is better to start your trip from Frankfurt. It is the start point of your big journey. You may hire a car in Frankfurt to continue your backpacking trip all over the country. This is the most beautiful city of Germany. This place is filled with special atmosphere. It takes top position to be the best touristic city. The historical city center is full of old buildings to contrast with high skyscrapers. This city is also economic center of the country. From the first sight, you cannot name Frankfurt the typical German city. You cannot find old stony streets, and strict people walking on them. Apple wine is preferred to beer and traditional French dishes are preferred to German sausages. Nevertheless, Frankfurt is always has something to show you. Come and see. This city can be next stop in your trip. Heidelberg is not only an important scientific center of Germany but the beautiful city on itself. The romantic atmosphere is everywhere: in the old city castle, architecture, city panoramic view, Old Bridge and Philosopher’s Walk. The average price for double suit in the 3* hotel starts from €60, 5* – from €150. This city is a real find for everyone who wants to combine cultural leisure and attractions. You can spend your time in a bar to try different sorts of beer. Leipzig is also full of historical heritage: old houses, ancient villas, Mendelssohn’s house, Museum of Music Instruments, Arts Museum, ancient city parks. The double suit in the 3* hotel is €57, 5* – from €150. Every little thing here is full of history. Koln will surprise you with ancient churches, middle aged castles, arcs, ruins from the time of Roman Empire. Koln will surprise you again and again. Try to visit the watch-tower and the Old Market Square to learn more about the city history, find the Celt Cathedral and fountain. If you feel tired from Koln history, you can make a stop and admire nature in the City Park. The average price for double suit in the hotel 3* is €70, 5*from €120. Stuttgart is good for car lovers. Such popular brands as Mercedes-Benz, Maybach and Porsche were born here. The city is also famous not with its glorious car history. This is a beautiful and green city. You can walk through the parks or just learn city history on foot. You can admire the ancient architecture, visit Art Museum, old city squares and streets. Don’t forget to visit Vinery Museum. Local wine is considered to be the best in the country. You can find a room in 3*hotel for €80, 5* for €150. Meet the city of museums and beer. This is a capital of Bavaria. You can find everything you like here: 45 museums, 70 art galleries with the works of local and classic masters, amazing parks and castles, glorious cathedrals, city zoo and shopping. You are fall in love with the first sight. The prices for hotels are not cheap. The double suit in 3* hotel is €140, 5* hotel offers the prices from €400. 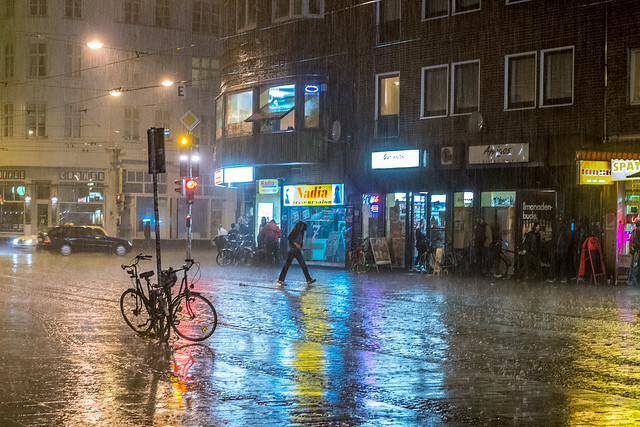 Hamburg is called German Venice. It’s not because it is situated on the river. This is place to combine contrast things that can hardly be combined on any other platform: port docs, glorious cathedrals, pubs and theaters. Hamburg is a city to explore and find something new again and again. You should visit Botanic garden, Puppet Museum, Fish market. This is the minimum place you should visit for one day. The prices for hotel of 3* is €85, 5* is €165. Dresden is like a chest with lot of interesting things inside: every day you take out something new from the chest. The city architecture is amazing, glorious cathedrals, cozy squares, castles and galleries make a unique combination of romance and chic. To feel Dresden you have to see a little bit of everything: Theatre Square, residence castle, museums, Botanic garden, zoo. The price for 3* hotel suit is about €65, 5* is about €110. Travelling by car it is not a problem for you to get to the city. If not, you can get there by bus or tram. What do you know about Quedlinbur? It’s like you are taken to the past for some years. This cozy Middle Aged city is located on the North. It is included in the list of UNESCO heritage. You will be amazed with its stony streets, colorful houses. Try to visit the old part of the city, situated on a top of a hill. You should climb the stairs to count them all and get the amazing city view instead. Bremen is historical city in the North Germany. The first excursion you are welcomed to visit is Beck’s brewery. You can ask for degustation also. 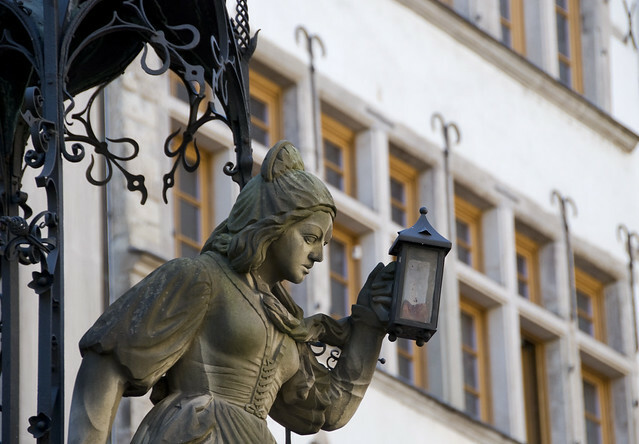 If you want to learn more about the city history, you should visit Schnoor – the oldest city district and street of the same name. The street restaurants, pubs and family shops are located in the center. Looking for something to eat in the city restaurants, don’t miss Ratskeller – it has the biggest wine collection. This popular spa city is situated in the North suburbs of Schwarzwald. The city offers the best nature views and healing waters. This is the best place for relaxation and treatment. People from all over the world used to come here for taking bathes. You will spend the big part of the day in the hotel. Nevertheless, try to visit Opera Concert House, the second big concert hall in Europe. Never miss local Casino, oldest in Germany and the most beautiful in the world.